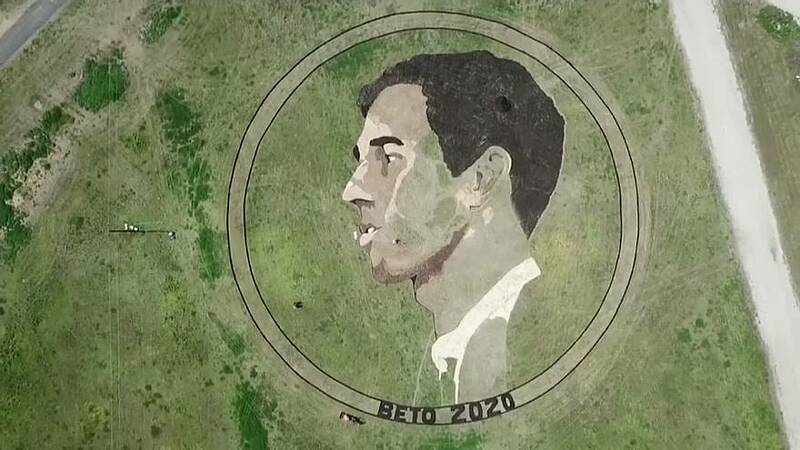 An artist and Beto O'Rourke fan took his support for the Texas Democratic presidential candidate to a new level in creating a piece of artwork of O'Rourke's face in an Austin field. The massive piece of artwork by Kansas-based artist Stan Herd is the size of two football fields and is placed just north of the Austin-Bergstrom International Airport. Herd mostly used material that was found on site. He typically uses elements such as gravel, sand, mulch and rock to his art pieces. It took him nearly two weeks to complete the O'Rourke installation.